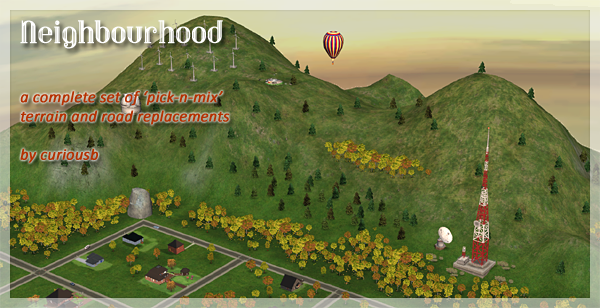 Description: A modification that allows to place neighbourhood decorations anywhere. 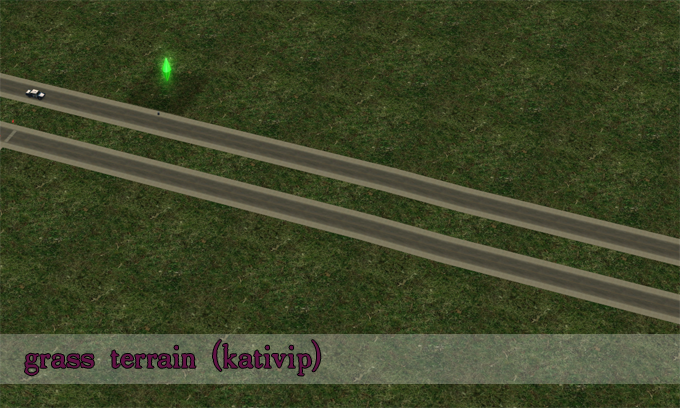 Description: A set of terrain and road replacements. 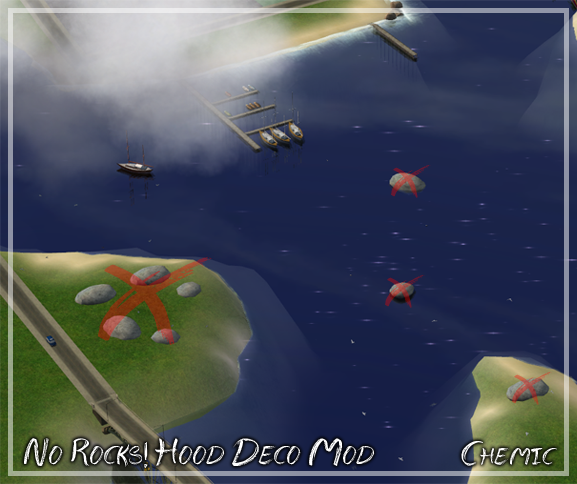 Description: No rocks for neighbourhood effects mod. 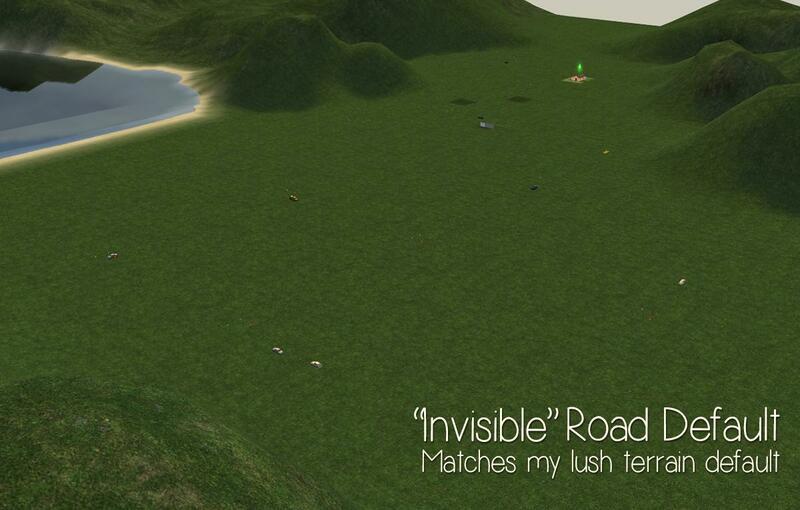 Description: Invisible road replacement that matches iCad's Lush Terrain Default. 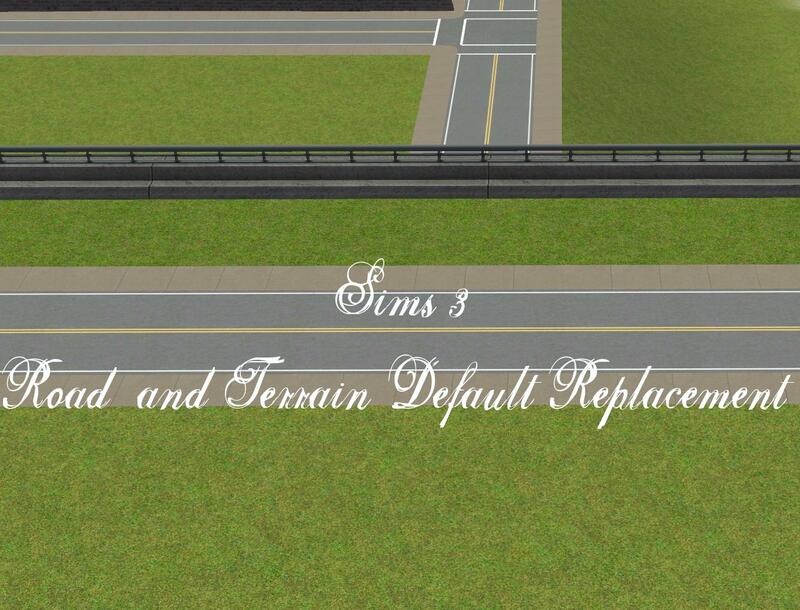 Description: Grass and road defaults from The Sims 3.